February. Romance. Passion. Love. February? Hearts. Valentines. Sweethearts. February. 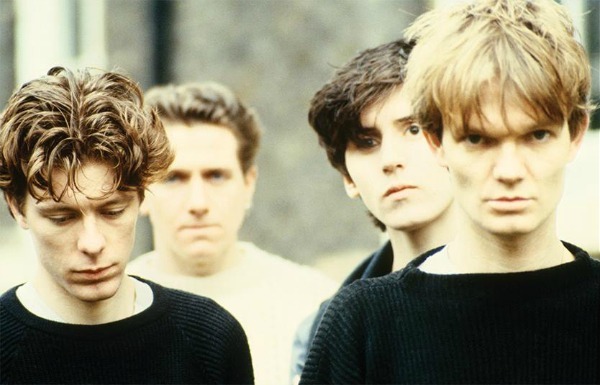 Today's song comes from one of my all time favorite British bands: The House of Love — who have decided to get back together after breaking up 12 years ago. The new album, Days Run Away is fantastic from start to finish. But the thing that I find really fascinating is how a group of friends who are musicians in a band reach a point where they can no longer work together, play together and, in some cases, even stand to be in the same room with each other. So they call it a day. Go their own separate ways. Split. Break-up. Inevitably release solo albums that often prove the sum, in music, is often greater than the parts (not always — but often). Slowly fade away... and if they're lucky, avoid appearing on VH-1 to answer the question “Where are they now?” But then… a dozen years later, these friends and musicians decide they do want to work with each other again. There's reconciliation. There's forgiveness. There's water under the dam. The 'ol chemistry is back and the magic returns. It's almost as though the 12-year separation never happened. Everything just 'clicks' and, and like old friends who haven't seen each other for years, it's just like yesterday today. To me that is simply amazing. I'm thrilled when it happens and I'm amazed when it works. Listening to Days Run Away is definitely as enjoyable as hooking up with a dear close friend. I know that sounds cheesy, but it's true.